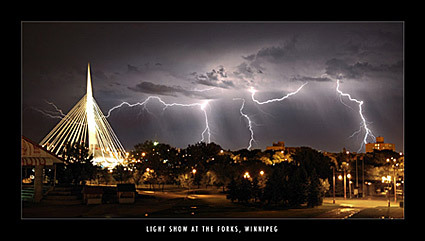 An article about my lightning shot can be read in the holiday 2005 edition of Winnipeg Magazine. A new desktop of downtown Winnipeg has been added to the Desktops section. Starscapes from the end of Main St. Experiment:. I shot a roll of slide film and compared the time and cost to that of doing the same digitally. Conclusion: Shooting a single roll of slide film for 36 photos took an extra 4 days in turn around time and $24 as opposed to the 0 amount of turn around time and $0 cost for the same photos from digital. Commercial shoot for a cairity poster for Hooters Winnipeg. I have added a section of my Prints for sale to the site in order to show my work that is available for purchase. All of the photos you see on this site are available for sale or commercial use by simply e-mailing me. 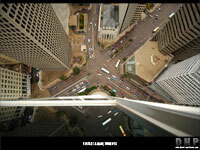 New desktop of "Portage and Main" added to the desktop section. Assisted in a shoot of the Asper Bros.
Several new additions to the Desktops page. A little over two weeks ago at about 3am I was high up on a parkade taking pictures of lightning while getting pelted by small hail on the same night that all the planes where blown over in Southern Manitoba. At 4am the same morning I posted the photo shown below on several local forums just before I went to bed. It was also used in the Prairie View School of Photography September newsletter. In the last two weeks several people have told me that the photo has made its rounds in Winnipeg by e-mail. Thanks to all those who sent it out, I'm happy everyone enjoys it. That's exactly why I got into photography, to take pictures of things that others haven't seen yet and just fun stuff. I always like hearing from people who like my photos so feel free to e-mail me at dan@danharperphoto.com so I can see how far this photo has traveled. The photograph will soon be available for sale at the Wayne Arthur gallery, 186 Provencher in different sizes. You can also have a copy for your computer desktop by going to my desktops area. I have just launched a new site to sell my photography skills: www.DanHarperPhoto.com This new site is now my primary photography site which will allow me to make www.DanHarperPhotography.com (the site you are on) a photo BLOG to show all my recent photos. If you need any photography services including portraits, weddings, events, products, stock photography and also restoration of old or damaged photos please contact me. Three of my photos are now available at the Wayne Arthur Gallery at 186 Provencher. Please feel free to stop by to check out the prints and the other great art at the gallery. For more information please see my for sale section. Vancouver: Ten days, 7200 photographs = 18gigs. One day to choose 600 out of the 7200. One more day to bring the 600 down to 181 of the best of 7200 photos. Around town from June 14. These shots where used to help Mindy win a contest to become a Hawaiian Tropics girl. The Hooters Golf Tournament pictures are finally online. Check them out here, there are four pages. If you are looking for a particular shot that you don't see here please e-mail me. Thanks to everyone, especially to Courtney and all the girls for making the pictures so great! I'm back from BC. Took over 7200 pictures and only because I was able to offload them onto a 20 gig CF backup drive. Thanks for that J. I will be adding a picture archive soon but processing 7200 pictures take a bit of time. Off to shoot Vancouver and Powell River. The Hooters car wash pictures are now offline. Please e-mail me if you need a particular one. Shot the Keystone grand re-opening for Keystone and the Manitoba Mustang and Ford Association. One of my photos was used for Keystone Ford in a national ad, placed in the WInnipeg Free Press page B5. Shoot for Wella (hair care products) at the American Beauty Association event at the WPG convention Center. Shot for CC. Also sent shots to Joico-ISO after a request from the person in charge of their booth. New photographs of my car: 1978 Mustang II. A small gallery of most of my most recent shoots. Click here to view. 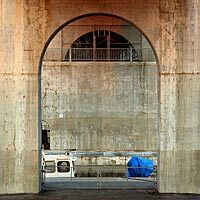 I have added sixteen new galleries. Take a look around the site sections, there is at least one in every section.